The kids and I have been experimenting with making a sour dough bread starter. M12 used white bread mix flour as her base for her starter and J9 is using rye flour for her base. M12's bread starter, after the first day, started getting bubbly and 'separating' (apparently this is called hooch) after the first day. Today (day 5) we separated the bread starter into 2 separate containers and put them in the fridge. 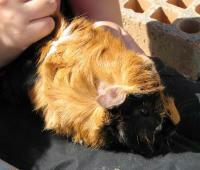 We are assuming that they were right as the mix /pet was dotted with bubbles throughout. J9 started her pet/bread starter today. She has named it B.J. (stands for bread junior). We only did a half quantity for her though as I am not sure what I would quite do with so much bread starter! It would never end because you have to keep feeding them so they can grow, multiply and make many many loaves of bread. This experiment has been soooooo simple and easy. It has lead to discussions (short ones though) about what is happening. It is ideal as it only takes a few minutes each day and there is always something interesting. Mice though! They are a completely different matter! We tried this sauce tonight. What can I say but 'Yum!'. At first smell it didn't quite smell as I expected it, but I gave it the taste test before putting it into dinner tonight. The taste test, well, it reminded me of roast dinners, roasted garlic (which I really enjoy) and roast potatoes. It was perfect for what I wanted to do tonight. I used last night's left over roast vegies and pork, chopped it up, tossed the sauce through it and topped with cheese. Baked for about 20 minutes and served. The flavours were muted somewhat when mixed with the other ingredients but they still added a nice touch to the meal. I will definitely enjoy using this one again. This sauce gets a rating of 4 out of 4 from the adults, and a 1 out of 4 from the kids (they didn't even try it apart from M4). So the total tally is 5 out of 8. If the kids don't try it, or enjoy it, that means more for myself and should bring a new meaning to mashed potatoes. 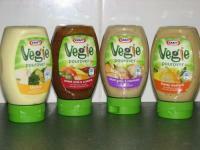 Not too long ago I signed up for a site ( http://www.vegiepouroverbuzz.com.au/content/default.html ), which is run by Kraft, after receiving an email inviting me to join, which was personally sent by a Kraft representative. I decided to check it out and thought I would give it a go. Upon signing up they promised to send out 4 pour over flavours to me. I received my flavours the other day. The flavours all look so yum! 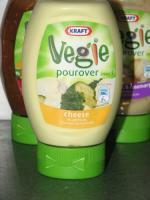 We have only opened the cheese flavoured vegie pour over so far. I tested it on the kids. E6 loves it and will eat it with everything she can. The rest liked their initial taste test but then at dinner time tonight (we tried it on vegies) they gave it the thumbs down. So that gives it a rating of 1 out of 4. 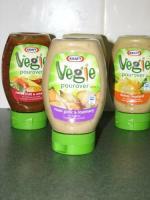 Hubby tried it also and liked it on his vegies but not on it's own. 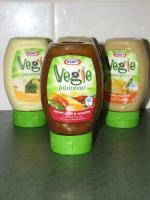 I liked it on my vegies also, but not in a huge amount as the taste was stronger then I imagined. I guess you could say that it is now a 3 out of 6. Now onto my day. Two words describe it - eBay sales. I had to post off 4 sales today. I guess this is good except when you are trying to work out how to pack those speakers into a flimsy cardboard box without it breaking since you don't have any other boxes in the whole entire house that it fits into well enough. In the end there was a lot of tape! There was a lot of tape for the squash racket and toner kits also. Apart from this my day was pretty normal, well sortof. Today is Valentines Day. The day for love. It is also the day you get an excuse to use cutesy hearts to decorate things. 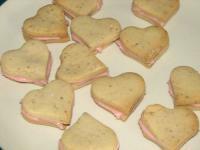 In my case I made cutesy hearts to eat (as well as stars, a duck and some people). Since I was a little lazy I sandwiched the cookies together with the strawberry icing. (Made the icing with strawberry juice and icing sugar).